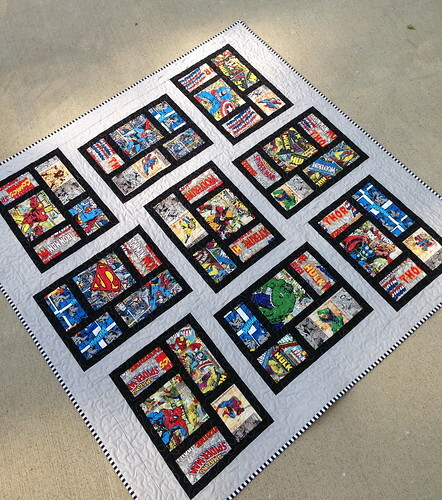 I made this adorable baby quilt for a couple of friends who are decking their nursery out in superheros. Derek spent some time criticizing my mix of Marvel and DC superheros but he eventually gave up trying to reason with me. 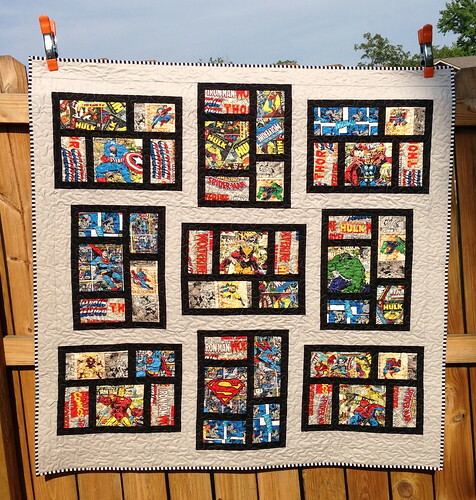 You may recognize that I used the same pattern as I did for the Star Wars quilt last summer. It reminded me of comic boxes. The rest of the nursery bedding was in various primary-ish colors, so I used this rainbow chevron print for the backing and a simple black and white stripe for the binding. 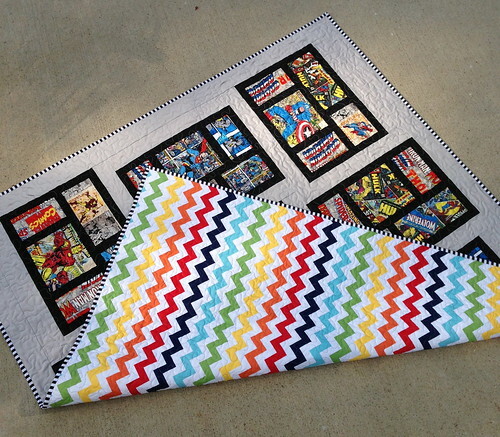 If you are looking for this pattern...Blogger, Elizabeth Hartman, of Oh, Fransson! wrote a book called The Practical Guide to Patchwork and this Kitchen Window pattern is included.